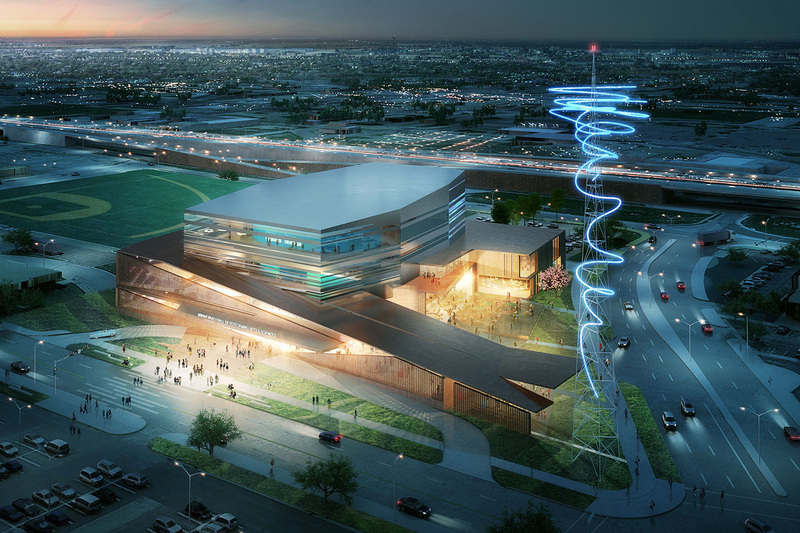 The Buddy Holly Hall of Performing Arts and Sciences is a world-class, multi-purpose cultural venue that will accommodate a diverse range of events ranging from large touring musicals to intimate dance performances. 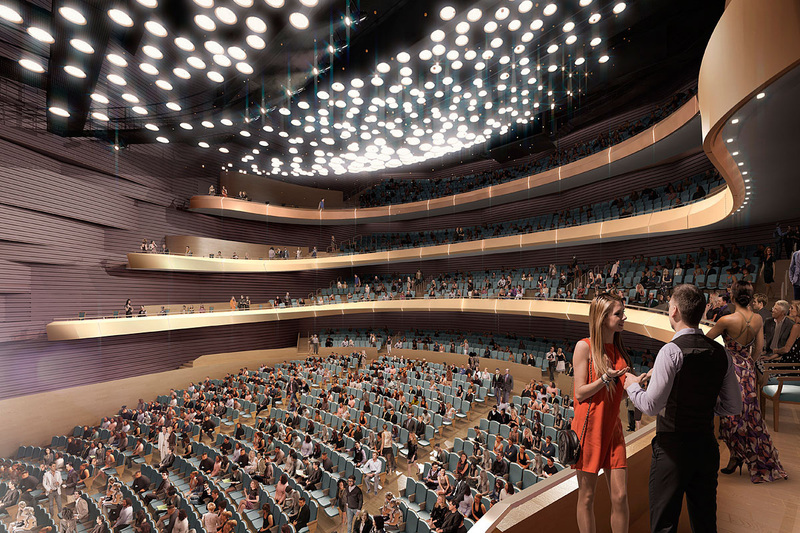 The venue will include a 2,300-seat main theater, a 425-seat studio theater, a 6,000 ft² multi-purpose room, and a bistro café. 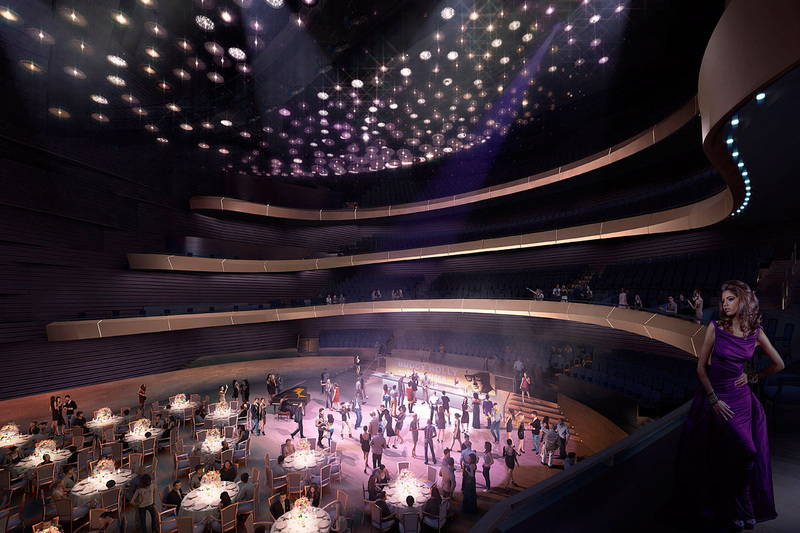 The facility is acoustically flexible to accommodate ballet, opera and other musical performances as well as educational activities, banquets and community events. Challenge: Deliver a world-class cultural venue to meet the high expectations of the owner, cultural groups and donors while respecting a limited budget. Solution: Early in the design phase, we undertook multiple parametric modeling studies which explored, tested and optimized many aspects of the structural design to rapidly explore options and find optimal, cost-effective solutions. This included comparing conventional two-sided formwork foundation walls against tilt up wall construction; structural resistance to lateral earth pressures as well as concerns about water retention to protect the substructure program. 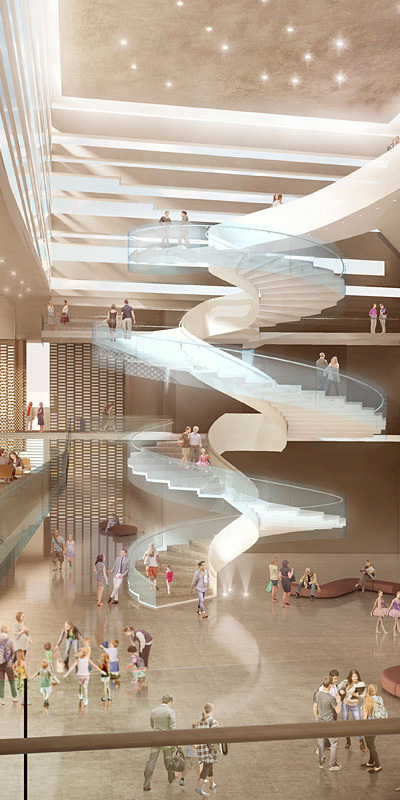 Other examples included parametrically modeling solutions to a feature stair in the Front of House lobby; selecting alternate material selection for the stage house by comparing various structural steel schemes to a cast-in-place concrete scheme. 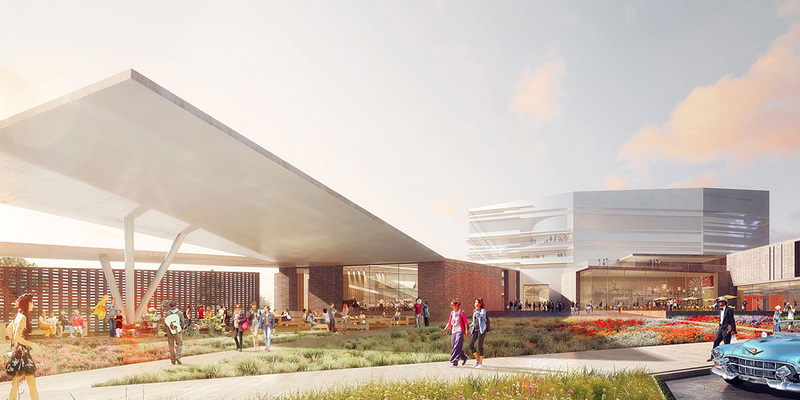 We also modeled alternate framing schemes for the building’s roof considering support for catwalks, acoustic banners, and the coordination with mechanical HVAC.